Insomnia and Weight Gain - Could Lack of Sleep be Making You Fat? For the last few years my sleep has not been the best. I started off by simply feeling groggier in the morning, then waking up during the night and feeling more restless. I put it down to “that special time of a woman’s life” at first as hot flashes did wake me up, but as those faded I was still having trouble sleeping. In the last 12 months we had to deal with a lot of stressful situations, move twice and deal with financial, business and personal issues, so there were plenty of reasons why I was not sleeping properly as I do tend to fret. I was trying to keep the same diet that had always kept my weight in check, I also continued with my exercise program no matter how tired I felt. I did not add any more food to my day and yet the scale kept creeping upwards. It was a vicious cycle. At this point I also noticed my blood pressure rising and my blood sugar which I had always kept in check. Credit: morguefile.com Finally, it got so bad that I was simply “cat napping” at night as thoughts and worries came to me as soon as my head hit the pillow. Nights were seriously long as I would sleep for 15 minutes, then wake up with my heart pounding, then take another half hour to fall asleep only to have it happen again. I became anxious as the sun went down knowing how long the nights would be. One - Two Nights a Week Pulling an All Nighter! At least a couple of nights, Credit: morguefile.comI would get out of bed and sit in a chair and read something boring as I had read on the internet that this will send you off to slumber land, but this didn’t work, and in the darkness by my tiny low light I would hear the coffee pot start up in the kitchen downstairs (I set it for the family to start up at 6am). I would be close to tears as I knew this day would not be good as I had been up all night. My family was totally fed up as I had not only had to resort to my “fat clothes” but I had turned into Godzilla. My moods were horrid and I had a constant dull headache and ringing in my ears. Finally my hubby said, “You need to deal with this”. I thought all that would happen is that she would give me sleeping pills and I truly did not want to go down that road. I had tried one or two over the counter ones that did nothing but give me side effects. I agreed, and booked a physical. I knew she would be upset with me as I had been trying so hard the past few years to get my weight down and I had done well and now I was up 15 pounds. I was so angry with myself. menopause when in fact they are true medical conditions that have simply developed during this time. One of the symptoms of menopause is insomnia and disturbed sleep, but she said more women need to get checkups and make sure it is not something else first. I was sent to see a Sleep Doctor, who asked my husband if I snored. He said no. So he felt it probably wasn’t a sleep disorder, but thought we should still do an overnight sleep test in a hospital lab to make sure. As per usual, even though I followed all the rules that day and didn’t drink any coffee or tea after 1pm, or other stimulants, Credit: morguefile.comI still did my usual cat napping even while hooked up to all their equipment. I was dead tired when I got there and yet I still did my 15 minutes naps here and there all night. Nights are seriously long when you don’t sleep. A week later I went back in, and he was stunned. He said I didn’t snore but I did stop breathing 28 times an hour. This is considered “moderate” there are many people much worse, but in my case, I was physically waking up with many of them and opening my eyes and my heart was racing from not breathing for more than 15 seconds. I was diagnosed with sleep apnea. So, this was NOT a menopause issue, it was something I had developed over the last few years and had got worse in the past year. It was considered a medical condition and can be very dangerous if not treated. You are not getting proper REM sleep. In my case my brain was waking me up when I stopped breathing, and in my consciousness I would of course not realize I was not breathing, only that my eyes would open and my heart would be pounding. This raised my blood pressure and my blood sugar. Not everyone physically wakes up with these “events” as they call them. Some people just feel horrible the next morning and don’t know why, so it is worth getting checked out. If I had not mentioned it to my Doctor I could have easily ended up on other meds for diabetes, blood pressure and more. I am a routine person, and kept my same diet and exercise program I have always had, and once I got used to the nose mask on my face I slept like a baby. I knew I was getting sleep when I filled the humidifier portion of the machine and fell asleep and next thing I knew it was morning. It is very exciting once you start sleeping again and don’t remember the night. This was December 9th, when I started using my CPAP machine and with Christmas coming up I knew I would struggle with my weight. But by New Years Day, which was only 3 weeks later I decided to check my weight and I had dropped 15 pounds, just from sleeping. I know I even overate over the holidays and yet there is was. My clothes were loose. I was ecstatic! My blood pressure and blood sugar normalized, and I didn’t feel so puffy and agitated anymore. It is amazing just what quality sleep does for a body. I have no idea really how long this had been going on, but I am sure glad my hubby forced me to the Doctor’s office. My weight loss efforts are working now. Sleep for me was the main issue. I am used to the mask and the machine now, but I need a different pillow. 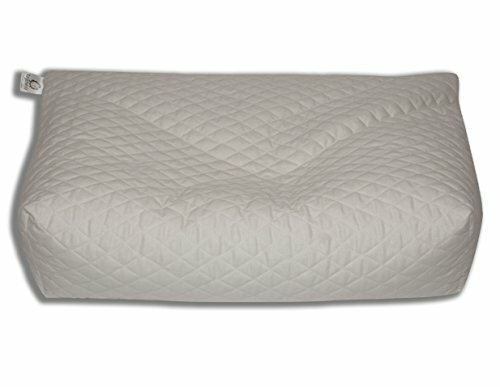 I sleep on my side, and my pillow has been putting pressure on the mask, so I researched and found there are pillows especially designed for CPAP machine use. So this is my next step. Are You Sleeping? Are You Battling Weight Gain? This affects more people than you think. If your family tells you that you snore loudly and sound like you are choking, then get checked for sleep apnea, it could save your life. Heart attacks increase with sleep apnea. You body needs restorative sleep to help normalize body systems, and sleep apnea prevents that as the back of the throat relaxes and blocks airways. There are dental devices you could try but in the end the CPAP machine works best for me. Most insurance companies recognize this condition and will cover it or most of it. You should go to a sleep clinic first and find out what pressure you need this machine set at. The air pressure keeps your airways open so that you will sleep through. It was a lifesaver for me. I have nicknamed mine DARTH. It travels easy and is very quiet and a lifesaver and the bonus is weight loss is continuing! Yay!